Krishen is a highly motivated, hard working individual who graduated from King’s College London in 2011. Since graduation Krishen has continued his education and attained membership to the Royal College Of Surgeons (England) and Faculty of general Dental practitioners. 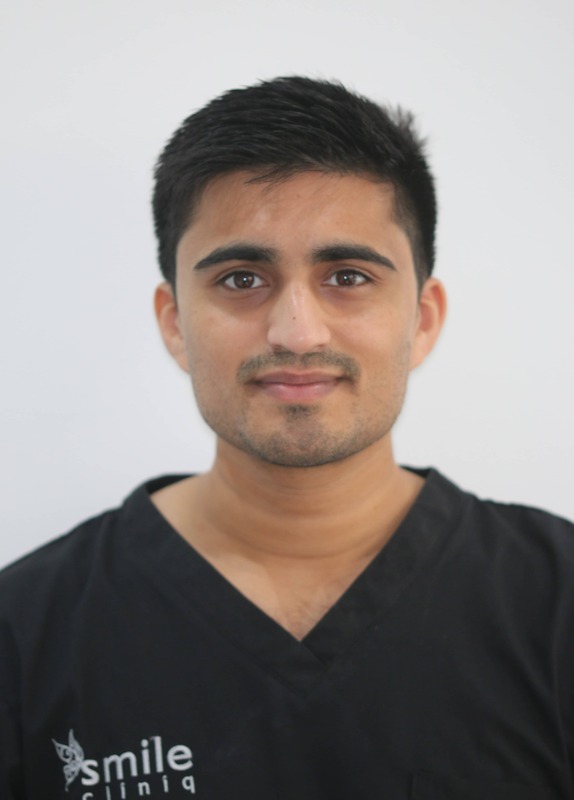 Krishen genuinely enjoys all aspects of dentistry with his main aim being providing a high quality service to patients. To fulfil this he has undertaken several post graduate courses, therefore expanding the treatment choices he can offer, as well as keeping himself updated with the latest advances in dentistry. Krishen has a very varied portfolio ranging from cosmetic tooth alignment, repairing fractured teeth, periodontal splinting of mobile teeth to undertaking complex root canal treatments (including re treatments). Krishen is also accepting internal and external Endodontics referrals. Krishen is an accredited Full Invisalign, Bioclear, INMAN aligner ®, Six month Smiles ®, Clearsmile Brace ® and Fastbraces ® masters practitioner. In his spare time Krishen plays a variety of sports and love to socialise. He is a keen traveller too.